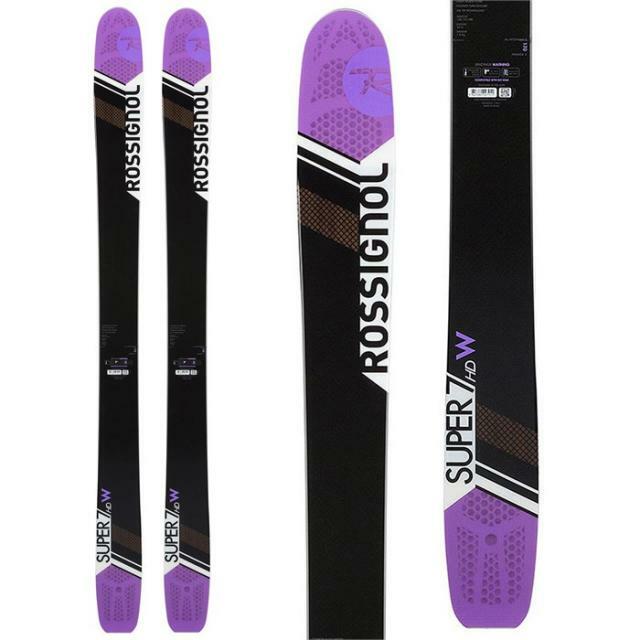 The new and improved Super 7 HD W now features Rossignol's Carbon Alloy Matrix. Updated to provide more dampness, stability, edge grip and maneuverability, the Super 7 HD makes shredding the pow easier and more fun. Get ultimate flotation, steering and control with Rossignol's Powder Turn Rocker profile and patented Air Tip Technology. With a lightweight pauliownia wood core construction, 114mm fat waist width, you can venture off in the deepest pow you can find. This feature packed ski, provides all the goodies to make every pow day epic. Whether you are headed to the resort or exploring the backcountry, the Super 7 HD W is the future of freeride.